Great possibilities with this lot. RIGHT ON HWY 231. Set up shop, build, or just secure it for future use. This lot would make a great investment, wedding gift, Graduation gift, or just gift it to your children. This parcel can possibly be added to neighboring lots when they come available. Use your imagination to own on one of the busiest highways for tourists in Northwest Florida. Only minutes away from Econfina Springs, Marianna Caverns, and about an hour away from The Worlds Most Beautiful Beaches.Call today. 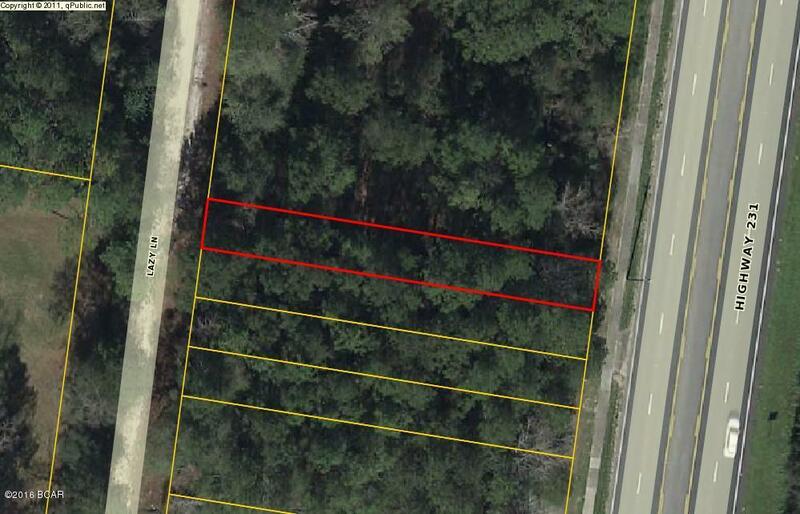 000 HWY 231 (MLS #661540) is a lot/land listing located in Fountain, FL. This property was listed on 01/07/2019 and has been priced for sale at $3,900.